Lazy Load Products on Category Page. Lazy Load Images on Homepage. About Lazy Load Products and Images For Magento 2. Easy to enhance functionality to any custom image in the store. 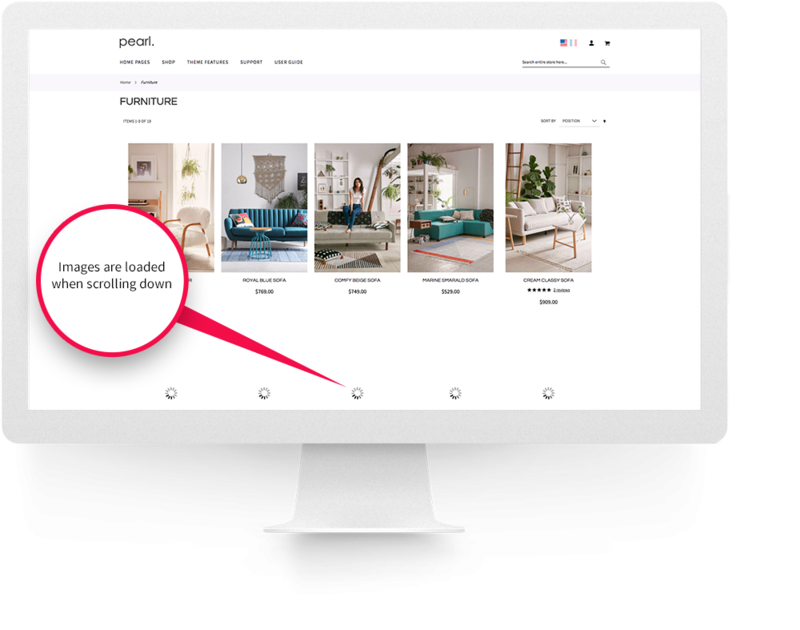 In addition lazy loading functionality can be easily enhanced and applied to any image in the store by simply adding the class “lazy” to the image element, as explained in documentation. High speed and performance ensure a smooth user experience, better conversion and improved SEO score. After installing the extension, is it enough to Enable it from Magento Admin as it is integrated out of the box with Magento 2 product structure. 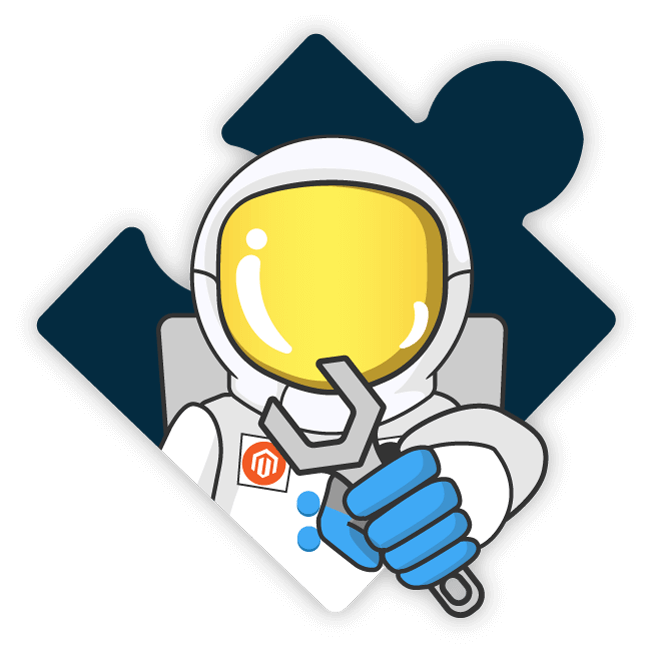 Integrates out of the box with Magento 2 listing pages, search pages & product pages. Improved conversions generated by improved page speed. SEO friendly, images can be indexed by search engines. Easy to install and use, light quality code. Before installing Lazy Loading Enhanced for Magento 2 store please check the extension compatibility. This extension is currently compatible with the following Magento versions 2.0.X. - 2.3.1 It is recommended to install the extension first on a testing server before you install it on a live (production) server. Step 1. Remove extension code under app/code/WeltPixel/LazyLoading before adding the new extension files. The extension may be refactored and old unused files may cause random issues so it's best to only keep the latest version of the files. Related, cross sell, up sell products. You can enhance default configuration by easily adding lazy load functionality to any image in your store. Fixed bundle js error / production mode. Fix for wishlist email templates lazyload image usage. Remove request dependancy as already exist in parent, Magento 2.1.x compilation fix. Compatibility notice message visibility update. Added compatibility check notice, based on existing installed extensions notify admin if any compatibility modules are necessary to be installed. Fix for cases when ajax loaded images with white source. Adding back fix for lazyload hover image on Pearl Theme category page. Fixed lazy load issues on IE browsers. Fixed configurable product swatch filtered listing image change. Adding fix for lazyload and hover images mouse over image on page load issue. Added fade loader functionality and image. Added fade img for static pages lazy load. You're reviewing:Magento 2 Lazy Load Products and Images.